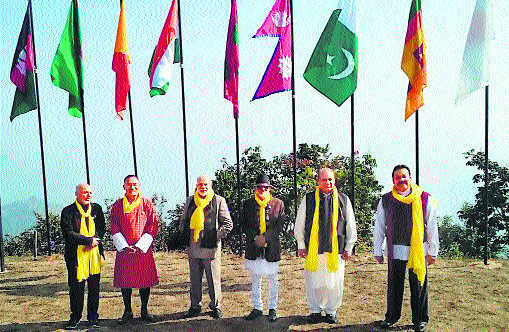 AT the SAARC Summit in Kathmandu in 2003, the heads of government proclaimed: “To give effect to the shared aspirations for more prosperous South Asia, the (SAARC) leaders agreed on the vision of a phased and planned process, eventually leading to a South Asian Economic Union”. India’s regional economic integration has been far slower in South Asia, than what has transpired in its relations with ASEAN, with whom India has concluded Free Trade Agreements (FTA), in both goods and services. Moreover, India has also concluded Comprehensive Economic Cooperation Agreements, going well beyond FTA, with Japan and South Korea. Despite the conclusion of a SAARC Free Trade Agreement, Pakistan has placed crippling trade restrictions on Indian exports and made a farce of pious declarations to establish an Economic Union in South Asia. There is no realistic reason to believe this will change in the foreseeable future. On Friday, November 8, 2014, as I was leaving my house in Bengaluru with a friend, three police officers approached us. I knew why they were there. The night before, I had received a mysterious phone call from the Foreigner Regional Registration Office (FRRO) in Bengaluru. The woman official on the phone told me to report to the FRRO the next day, a holiday. I sought reasons. She refused, insisting instead that I report to the FRRO urgently. An American citizen of Indian origin, I had been living in Bengaluru for about three years, working on a valid visa as a researcher for Amnesty International India (AII). I told her that I would consult with my employer and revert to the FRRO on Monday. The recent developments on the India-Myanmar border would have come as a surprise to many. On that frontier, there are no gunfire exchanges or mutual allegations of transgressions as there are on the disputed India-Pakistan and India-China borders. Not only is there an absence of such friction, but local people can travel up to 16 kilometres across the India-Myanmar border without any visa formalities. In spite of this relaxed atmosphere, or possibly because of it, there are numbers of anti-Indian armed groups that use Myanmar as a base for their operations, and a few months ago, some of these insurgent groups, such as the National Socialist Council of Nagaland-Khaplang and elements of United Liberation Front of Asom have launched a common platform grandiosely called the United National Liberation Front of Western South East Asia. The marathon nuclear talks between Iran and the major powers continue, while both sides are trying to keep their cards close to the chest in order to get to what Iranian Foreign Minister Mohammad Javad Zarif called a “just” deal. The intensity and complexity of the negotiations between Zarif, US Secretary of State John Kerry and other foreign ministers have sparked speculation that the accord on Iran’s nuclear ambitions will not be signed immediately, but only in a few days time. Under the new framework drawn up in Lausanne, Iran agrees to substantially scale down its nuclear activities to prevent any attempt to develop nuclear weapons. In return, Tehran has asked for immediate relief vis-a-vis economic and financial sanctions that have suffocated the economy by decreasing Iran’s oil exports and its ability to earn foreign currency. But there are tougher issues to be resolved. Among these is the role of the International Atomic Energy Agency (IAEA) in keeping tabs on Iran’s nuclear sites to ensure that Tehran indeed reduces its capacities. P.V. Narasimha Rao addresses a joint session of U.S. Congress in 1994. It took a non-Congress government to properly memorialize one of India’s greatest Congress prime ministers. History has a way of doing justice that is often as unpredictable as it is illuminating. The Modi government is ready with a memorial for late Indian Prime Minister PV Narasimha Rao at New Delhi’sEkta Sthal Samadhi Complex, a common place for erecting memorials for former presidents, prime ministers and others, with the approval of the Union cabinet. Ten years after his demise, Rao has finally got a memorial in his name in the national capital. This move may be aimed at embarrassing the Congress party, but it does justice to the legacy of one of India’s finest prime ministers. A party that prays at the altar of the dynasty can never appreciate how far-reaching Rao’s accomplishments were. As in other Eastern countries, the Indian public is easily swayed by sentiment. Important issues are taken to the streets instead of being debated calmly. Slogan-shouting crowds are used by political leaders to build-up public opinion on issues of the moment. Even the news media lend a hand with subjective reporting and comments. Under such conditions, a government may sometimes be forced into a corner by vociferous public opinion and commit itself to a course of action it may later repent. Admittedly, India has significant legitimate national security interests in the security and stability of Afghanistan, besides historical ties of shared strategic convergences on checkmating Pakistan’s unceasing ambitions for political and military control of Afghanistan. In 2015, the Afghanistan picture for India stands drastically changed with the ascendancy into power in Kabul of President Ashraf Ghani. Afghanistan’s new President soon side-lined India in Afghanistan’s security calculus in favour of Pakistan and China, his first ports of call on becoming President. His courtesy call on the Pakistan Army Chief during his Islamabad visit was unbecoming of the Head of State of Afghanistan. He followed this up with cancellation of arms sales contracts with India and sending Afghan military officers for training in Pakistan and further announcing coordination of Afghanistan’s intelligence set-up with Pakistan Army’s intelligence agency-the ISI. It is interesting to observe the myriad colours of geopolitical power .. It is interesting to observe the myriad colours of geopolitical power play being enacted in the Af-Pak region. Closer home, in Pakistan, the anti-Shia sectarian violence has already claimed 170 lives this year, the increase attributed to the rise of ISIS influence in Pakistan, with terror groups like the TTP, Lashkar-e-Jhangvi (LeJ), Ahle Sunnat-Wal-Jamar (ASWJ) and Sipah-e-Sahaba aligning with the ISIS. The visit of an ISIS delegation to Balochistan last September on behest of the Jundallah, followed by another ISIS-Jundallah meet in November 2014 in Saudi Arabia were no coincidences. The aftermath of the Shikapur Imambargah blast in January (Source: Express Tribune). A seemingly organized sectarian violence against Pakistan’s beleaguered minority Shi’a community has plumbed new depths in recent months with a series of bombings of Shi’a worshipping places and targeted killings that have left over 170 people dead so far in 2015. Previously the anti-Shi’a armed campaign was spearheaded by banned Sunni militant groups like Sipah-e-Sahaba, Lashkar-e Jhangvi (LeJ) and Jundallah, which all are closely affiliated with Taliban conglomerate the Tehrik-e-Taliban Pakistan (TTP–the Pakistani Taliban). However, with the arrival of Islamic State in Pakistan’s jihadist landscape, there has been a spike in the volume of anti-Shi’a violence, partly as a result of tafkiri jihadi groups like LeJ or Jundallah entering into alliance with the strongly anti-Shi’a Islamic State. It's been six months since Pakistan instituted its 20-point National Action Plan. Has Pakistan achieved any of the goals set forth in the Plan? June 30, 2015: The army has sent more troops to their 1,643 kilometer long Indian border. This is in support of India which has a decades old tribal rebellion on its side of the frontier and only one battalion (fewer than 800 troops) per hundred kilometers of border. Thus there is ample opportunity for tribal rebels to sneak across and set up camps in Burma, safe from Indian security forces. Burma admits it is responsible for detecting and expelling these illegal visitors but most of the border area is thinly populated forests and mountains and it is very difficult to get troops into the area and very expensive to support them as they go after any intruders. So India sent a few more battalions to areas the rebels seem to prefer to cross at. This makes it more difficult for the rebels to move to their Burma sanctuaries but does not stop them. Because of the recent rebel ambush inside India, using Burmese bases, the Burmese army will use Indian intelligence on routes the rebels are using to cross the border and have Burmese troops watch and block these routes. Getting all the Burmese reinforcements in place will take until later in July. On the Indian side of the border troops are limiting the amount of food people can take with them into Burma. People on the Burmese side rely on regular food imports from India so limiting the flow of food will limit what the Indian rebels get. The Indian rebels are not likely to take food by force from Burmese as this would turn the Burmese against them. The year was 2013, and Sheikh Hasina, prime minister of Bangladesh, had picked up the phone. She was calling Khaleda Zia, her arch-nemesis and the head of the opposition, in an attempt to convince her to end yet another round of violent strikes and demonstrations that had brought the country to its knees. Chinese investment is pouring into Europe. It's one reason why Premier Li Keqiang, during a visit to Brussels this week, called for a strong euro and united Europe as the region grapples with the latest chapter in the Greek debt saga. China’s premier is in Europe just as the Greek debt crisis comes to a head. Chinese Premier Li Keqiang is in Europe this week to attend a China-EU summit in Brussels, as well as paying official visits to both Belgium and France. This trip marks Li’s sixth visit to Europe in the past three years, and his first official visit to EU headquarters since he assumed office in March 2013. Li met with Donald Tusk, the president of the European Council, and Jean-Claude Juncker, president of the European Commission. Juncker and Tusk took office in November and December 2014, respectively; it was Li’s first meeting with them. The festivities weren’t exactly what might have been hoped for, as lingering questions about a possible Greek exit from the eurozone cast a pall over the meeting. A framework agreement for the operations of the Chinese-led Asian Infrastructure Investment Bank was officially signed in Beijing today, with representatives from the 57 founding members gathering for the ceremony. However, only 50 countries actually signed the agreement – seven (Denmark, Kuwait, Malaysia, the Netherlands, the Philippines, South Africa, and Thailand) have to get the AIIB charter formally passed through domestic processes before they can officially sign. Chinese media said the seven are expected to join by the end of the year (although things may be more complicated in the case of the Philippines). 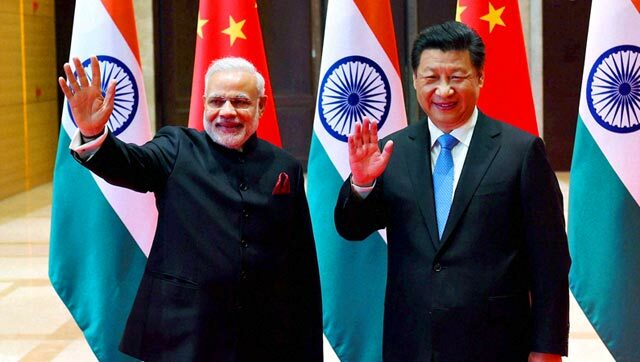 The signing of the agreement came with new clarity on how AIIB capital and voting rights will be divvied up. As expected, China is the largest shareholder, accounting for 30.34 percent of AIIB shares. China is followed by India (8.52 percent), Russia (6.66 percent), Germany (4.57 percent), and South Korea (3.81 percent). Australia, France, Indonesia, Brazil, and the U.K. round out the top ten. As I previously noted (see: “A Big Step Forward for China’s AIIB”), 75 percent of shares were reserved for Asian members, giving them a proportionately larger say in bank governance. Beijing’s newest anti-submarine warfare weapon is closing a critical capability gap. "Americans tend to seek instant gratification. But China strategy calls for playing the long game." Since the demise of the Soviet Union in 1991, foreign policy wonks of all stripes have cast about searching for the Silver Bullet: What is the grand strategy to succeed containment? Where is the George Kennan of the Brave New 21st Century world? The search began early on witoh the DOD’s 1992 Defense Planning Guidance which aimed at preventing “the re-emergence of a new rival … in the order posed formerly by the Soviet Union… from dominating a region whose resources would, under consolidated control, be sufficient to generate global power;” It continue through the 1990s’s with Madeleine Albright’s “indispensable nation.” That nobody has won the Kennan sweepstakes is not an indictment of the Leisure of the Theory Class. Rather, it reflects the extraordinary complexity of a world of increasing disorder and uncertainty, one where threats are many, but none rise to the level of existential threat posed by the USSR (though Putin is not doing a bad imitation). Don’t be surprised by this illogicality: In none of its disputes with neighboring countries has China staked a territorial claim on the basis of international law or norms. Rather, its claims flow from its revanchist view of the past — a shifting standpoint that reinterprets history to legitimize claims to territories long held by other countries. Because China does not apply the rule of law at home, it does not recognize its value in international relations. For China, principles have always been bendable. And when it cannot bend a principle, it creates a new one. The true scale of the war against IS has gone largely unremarked on – until now. As the number of Britons confirmed dead in the Sousse massacre continues to climb, David Cameron has again ruled out putting British troops on the ground in Iraq and Syria – but conceded that Islamic State (IS) is plotting “terrible attacks” on Western soil. This is a sign that the attack in Tunisia has made the magnitude of the war against IS clearer than ever. Until now, the government has been able to downplay it – an official strategy reminiscent of the aftermath of July 7, 2005. In the days after 52 people were killed in the 7/7 attacks, the Blair government was insistent that the war in Iraq had nothing whatsoever to do with the appalling massacre. That argument had to be rolled back eight weeks later when al-Jazeera screened a “martyr video” recorded by one of the bombers, Mohammad Sidique Khan, which drew an explicit link between the attack and UK foreign policy. Here is what we should expect once a nuclear agreement is signed by Iran and the P5+1. With the June 30 calendar date for a final, verifiable nuclear agreement fast approaching, Iranian and P5+1 negotiators in Geneva are swiftly nearing the time when incredibly difficult decisions need to be made. Diplomacy between Tehran and the P5+1 over Iran’s nuclear weapons program has been ongoing for roughly twenty-one consecutive months; indeed, the first round of preparatory talks started even before Hassan Rouhani was elected as Iran’s president in a resounding victory in August 2013. The last week and a half will determine whether or not all of this time and expended political capital—an effort that has been particularly controversial in Washington and Tehran—will ultimately result in a comprehensive agreement that all parties can live with. An innovative proposal to manage Iran's enrichment capability after the deal expires. A major focus of criticism of the proposed deal with Iran is that the limitations on Iran’s uranium enrichment program will phase out after ten years. This is a valid concern and, if the deal is concluded, it should come with a commitment by the parties to start immediately on a plan to assure that Iran’s enrichment program does not reemerge as a threat to regional stability. One way to do that would be to add a multinational layer of supervision to the program. Specifically, the United States and perhaps others among the six countries that have been negotiating with Iran could buy shares in its enrichment program in exchange for having full access to all the associated facilities and a say in how they are managed. It’s time to get serious about evaluating America’s counterterrorism strategy. On June 14, when F-15E fighter jets bombed Mokhtar Belmokhtar, an al Qaeda commander in North Africa, the United States expanded the war on terrorism with its first explicit counterterrorism airstrike in Libya. What began with limited airstrikes in Afghanistan on Oct. 7, 2001, to topple the Taliban has expanded to seven other countries — Yemen, Iraq, Pakistan, the Philippines, Somalia, Libya, and Syria — with sustained military or counterterrorism operations against terrorist groups and militant armies, most with no connection to 9/11 or any apparent intention or capability to directly attack the United States. But while its alleged enemies have evolved, America’s strategy has not. Washington officials conflate local militancy with direct threats to the homeland, refuse to identify the enemy or the prioritization of adversaries, proclaim implausible strategic objectives, and stubbornly demonstrate no meaningful learning or adjustments over the past 13 years. The elements of this strategy remain unquestioned and, subsequently, ineffective. It is roughly one year since Isis announced it was establishing a caliphate in territories under its control in both Iraq and Syria. Award-winning Middle East correspondent Patrick Cockburn is writing a series of articles for the Independent marking this anniversary. His latest article, examining "the seven wars in seven Muslim countries that are fuelling Isis", contains this graphical feature from Statista. This chart provides an overview of the seven wars in Muslim countries. For over a year and a half now, the signals emerging from London are extremely negative. On the surface, the British appear to be very keen to engage India, in particular the Modi government, and leave no opportunity to pay lip-service to the ostensibly close and friendly relations between India and the UK. They are also very eager to tap into the business opportunities that are opening up in India. But behind the scenes, on the security front, the British have been doing a lot that directly impinges on and has serious implications for India’s security. The scandalous report – not so much on account of its laughable content but more because of its shockingly shoddy journalism which even tabloids would be embarrassed to own up to – alleging that the Pakistani political party, MQM, was being funded by India is yet another indication of the sinister game that is being played by the British against India, and in favour of Pakistan. Quite aside the fact that BBC’s reportage is no divine text cast in stone and therefore unchallengeable, the myth of BBC’s independence and the unimpeachable integrity of its journalism has been badly exposed over the last couple of decades. The Iraq war and the Musharraf referendum are just two instances when the BBC tweaked its reports to suit the interests of the British government. Had the Musharraf referendum taken place before 9/11, the BBC would have probably reported that it was a farce. But post 9/11, after Musharraf had become an ‘ally’ of the West in the War on Terror – we know more than a decade later what sort of an ally Pakistan was and what sort of a war it fought against terror – and therefore anything he did to cement his position – including an utterly rigged referendum – was kosher. So much for BBC’s claims of unbiased news and its independent journalism! The latest ranking of the most American vehicles you can buy is out—and the results are surprising. The phrase “made in America” has always pulled at the hearts and wallets of loyal, red-blooded consumers, and never more so than in the automotive space. But according to research released Monday, the car company that qualifies as most American is….the Toyota Camry. Cars.com released its 10th American Made Index (AMI) of the vehicles that qualify as the most American—based on where parts are manufactured (a vehicle must be made of at least 75% U.S. parts to even make the list), where the vehicle is built, and what percentage of the vehicles’ sales are U.S.-based, among other factors. This year’s AMI yielded a few surprises. The Toyota Camry is, apparently, the most American vehicle on sale in the U.S. Surprise No. 2: Ford fell off the list entirely this year—even though the F-150 pickup topped the list in 2013 and 2014. (A Chrysler hasn’t shown up since 2012.) Surprise No. 3: Ten years ago, when Cars.com began compiling the AMI, 29 vehicles made the cut; this year, only seven did—not even enough for a Top Ten. Globalization is here. Surajit Dasgupta is National Affairs Editor, Swarajya. Hopefully, readers won’t find the comparisons Greek. The European country is a typical example of the ultimate fate socialism and populism meet. India, beware! In terms of economics, this is the chronology that unfolded in Greece, which the whole news media is talking about today. Greece enters Eurozone in 2001. Unfortunately Europe goes into recession around 2008. Greece being poor, suffers more with 28 per cent unemployment. Being part of Eurozone, Greece can’t print more drachma to reduce its value in international market and make Greek exports attractive. Shinzo Abe and Vladimir Putin will plan to meet on the sidelines of international summits in November 2015. According to Japanese government sources, a meeting between Prime Minister Shinzo Abe of Japan and President Vladimir Putin of Russia may take shape this November. According to the Yomiuri Shimbun, Abe and Putin spoke on the phone and agreed to meet on the sidelines of upcoming international conferences, including the Group of 20 nations (G20) and the Asia-Pacific Economic Cooperation meeting (APEC). Both conferences are scheduled for November. The sideline meetings will set the ground for a proper leaders summit between the Japanese and Russian leaders, possibly later this year. Ambassador Hume, your experiences as a career diplomat with posts in Africa and Asia give you a broad perspective on U.S. diplomacy in these emerging areas of the world. Asian countries – China, Japan, South Korea, and Indonesia, among others – are actively engaging African nations on a range of issues from infrastructure investment to natural resources to development aid. What are the key elements driving interlinkages between Africa and Asia? Major economies, rich and poor alike, are taking serious steps to curb emissions of greenhouse gases. That’s a sea change in global efforts to fight rising temperatures. The world’s two biggest sources of greenhouse gas emissions announced plans Tuesday to clean up their economies and aggressively develop low-carbon energy sources to better fight climate change. China on Tuesday formally presented its plans to curb greenhouse gas emissions by 2030 in preparation for the big United Nations climate summit in Paris later this year. If met, the targets, coming from the world’s largest source of greenhouse gases, would seem to give the planet a fighting chance to avert the worst impacts of climate change later in this century. Also on Tuesday, U.S. President Barack Obama announced plans to work more closely on climate issues with Brazil, including effectively tripling the amount of renewable energy like wind and solar power in the United States by 2030. Brazil announced similar targets. The United States has already committed to reducing emissions by about 28 percent by 2025. BENGALURU: In a session on ‘Contribution of IISc to Strategic Sectors’, leaders from Indian science and technology elaborated on how the institute has played an important role in the development of many technologies of national importance. This event was a part of the IISc Alumni Global Conference. Dr Kiran Kumar, chairperson of the Space Commission and an IISc alumnus, said, “If ISRO exists today, it’s mostly because of its connections with IISc.” He spoke about the stalwarts of India’s space programme, Prof Brahm Prakash, Prof B L Deeshatulu, Dr S Srinivasan and others, who were from IISc. 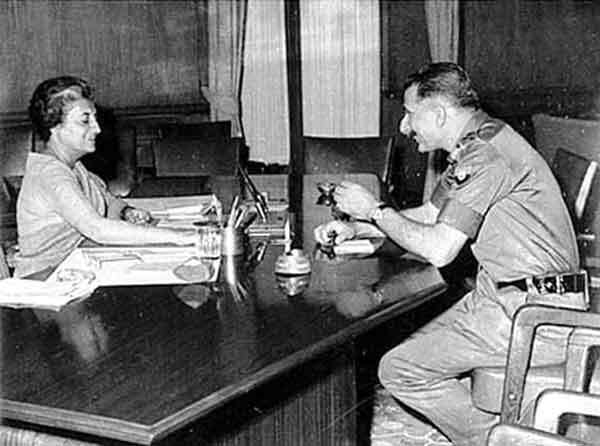 The architects of the Indian space programme, Dr Vikram Sarabhai and Prof Satish Dhawan, had close connections with IISc. Prof Dhawan also served as the Director of IISc from 1962 to 1981. Diesel-electric submarines are cheaper and quieter than their nuclear counterparts and they are rapidly being procured by states opposed to the national interests of the United States. While not capable of traveling long distances or at great speed, diesel-electric submarines have the potential to deny the U.S. Navy access to strategic coastal areas and could also interrupt seaborne commerce. Equipped with air-independent propulsion systems and advanced lithium-ion batteries, the next generation of diesel-electric boats will even be harder to track down and destroy in the event of a naval conflict. “Picking up the quiet hum of a battery-powered, diesel-electric submarine in busy coastal waters is like trying to identify the sound of a single car engine in the din of a major city,” Rear Admiral Frank Drennan, commander of the Naval Mine and Anti-Submarine Warfare Command, emphasized in March 2015.
Who's accountable if your personal data gets hacked? Paul Callan is a CNN legal analyst, a former homicide prosecutor and media law professor. He is "of counsel" to two law firms: Edelman & Edelman, PC and Callan, Koster, Brady & Nagler, LLP. The opinions expressed in this commentary are his. (CNN)During the past few weeks, much of the nation was mesmerized by the daring escape of two convicted murderers from a maximum-security prison in upstate New York. The saga ended with one of the fugitives dead from gunshot wounds while the other convict is in custody recovering from wounds of his own. Two prison employees have been charged with aiding and abetting in the escape.